The Christmas chocolate boxes have made their way on to the local supermarket shelves and with Sunday being the 100-day countdown until Christmas, some shops have already started offering Christmas shopping deals. And for one family from County Durham, mid-September, with the summer’s heat wave a distant memory, it really is beginning to feel a lot like Christmas. 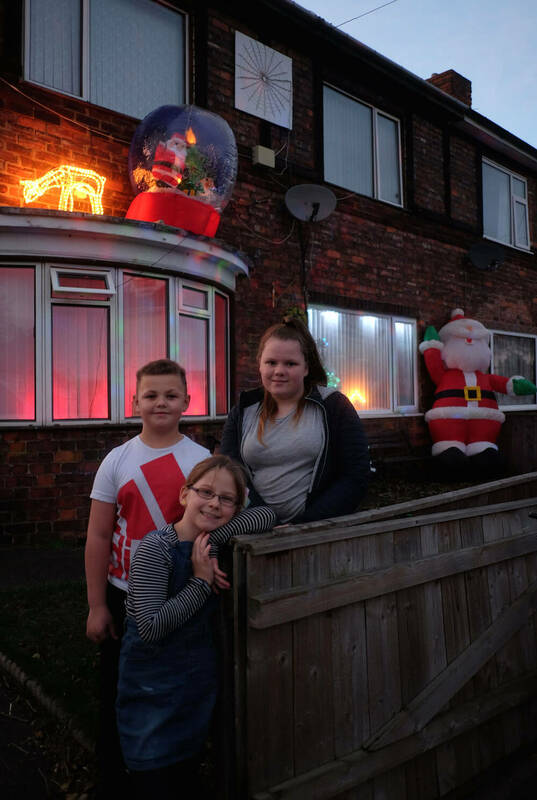 The Weir family have already begun decking the halls in their house, starting with sparkly lights, huge Santa’s and a giant snow-globe on the outside. 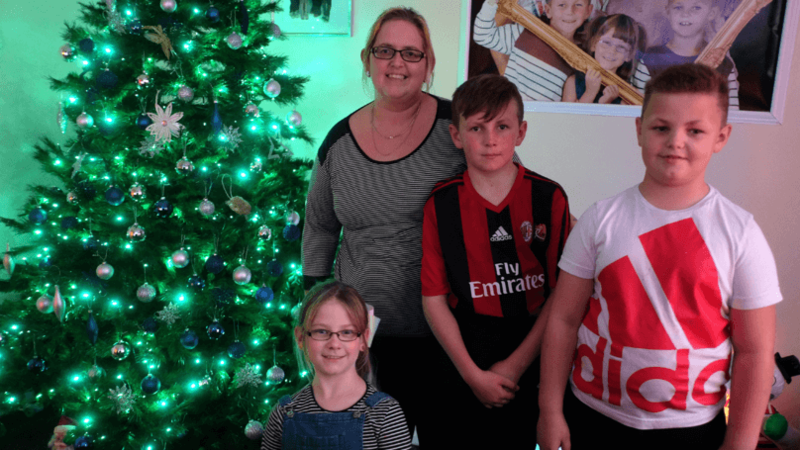 “It’s an incredibly special time for us, and the kids finally come in from playing outdoors to cosy up on the sofa. The family always go to town with their decorations, inside and out but there’s one decoration that always takes the limelight; the tree-top star. The star is in memory of their daughter, Libby, who died shortly after she was born. “The kids always fight over who is going to put the star up. We think of Libby all of the time, but it’s at this time of the year she’s with us the most. The family even open up their house to local children to come and get a treat from under their tree in some kind of Christmas twist on Halloween’s trick or treat. This family obviously loves Christmas and it clearly means a lot to them. To those who may be quick to criticise, to us here at The Dadsnet, we think it’s a lovely tribute to Libby. Crack on Weir family and have a merry Christmas from all of The Dadsnet. 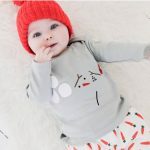 Fab Baby Brands To Buy This Christmas!